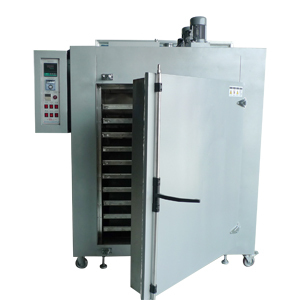 Aging oven (aging box) is a kind of test equipment for high temperature environment. The air closed self circulation, isolation type design. Ageing oven air duct for stainless steel structure. The studio temperature automatically controlled by the temperature controller, and automatic temperature and time control device, and equipped with automatic power-off and alarming circuit, over temperature control is reliable, safe use. It can satisfy the electronic liquid crystal display, LCD, CMOS, IC, pharmaceutical, automotive electronic modules and other electronic products, power supply, wire, cable, insulation aging test and lab charged production and scientific research departments.